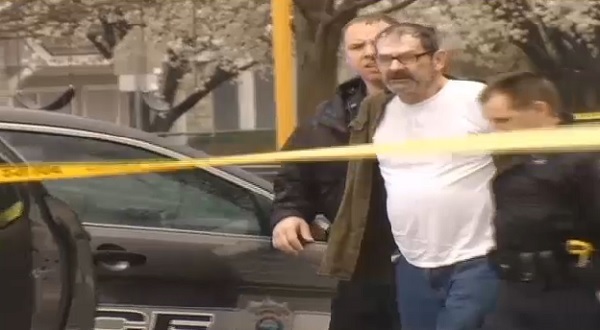 Get ready to take a long hot shower after reading the comments of support on Vanguard News Network (VNN) for neo-Nazi Frazier Glenn Miller, who was arrested at the scene minutes after the Sunday afternoon shooting spree at two Jewish community centers in suburban Kansas City that left three people dead, including a grandfather and his 14-year-old grandson. “Happy April 20th,” “James Hawthorne,” a senior member of the VNN Forum added, referring to Adolf Hitler’s birthday, still the most important date on the neo-Nazi calendar. As it turns out, none of the dead – William Corporon, 69, a physician, his grandson, Reat Underwood, 14, and Terri LaManno, 53 – were Jewish. Dr. Coroporon and his grandson were killed in the parking lot of the Jewish Community of Greater Kansas City. They were at the center located in Overland Park, Kansas, so Reat could audition for a singing contest. LaManno was gunned down at a nearby Jewish retirement home, visiting her mother. LaManno was Catholic. “One thing is for sure: the Jews are celebrating right now,” “John Evans: Christian Anti-Semite,” wrote. “Three white Christians dead, a Jew-hater in custody and headed for the gas chamber, and most people totally alienated against WNs” – white nationalists. “It’s so terrible that he was apprehended,” senior member “N.B. Forrest,” wrote. At the time of the shooting, the Jewish Community Center was packed with hundreds of teenagers, like Reat Underwood, trying out for the singing contest. Others were auditioning for a production of “To Kill a Mockingbird,” a play that apparently enrages white supremacists, judging by the comments on VNN. “Serbian,” a senior member, wrote the “ultimate responsibility for this unfortunate little episode lies solely with the System which has created the conditions that could potentially force a certain type to do something like this.